My new build video is up -- check it out! In this video, I show how I designed and built a Bluetooth Speaker with an integrated LED matrix. 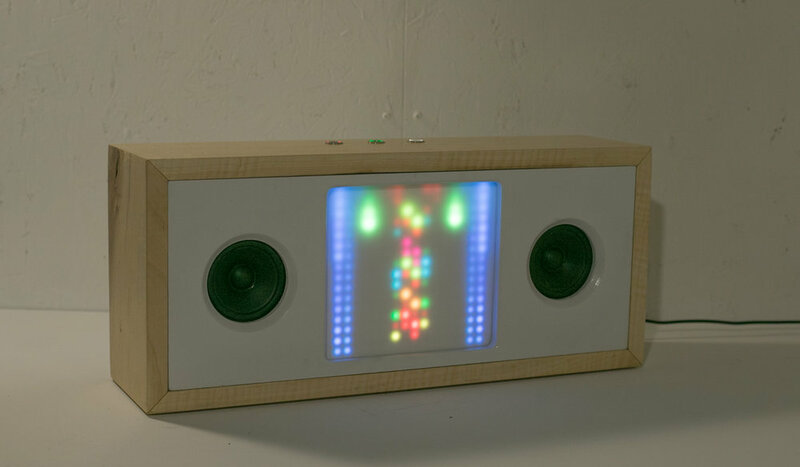 The LED matrix includes a number of different visualization modes, including a fireplace mode, an abstract “moving art” mode, and several that react to the music via a microphone inside of the speaker box. I haven’t seen any other product designed for the home, which marries sight and sound in this way. The idea for this project came about in a somewhat unorthodox way. I wanted to build something for several friends expecting newborns. I wanted a gift that would help their children develop neurologically, and a gift that they wouldn’t outgrow. 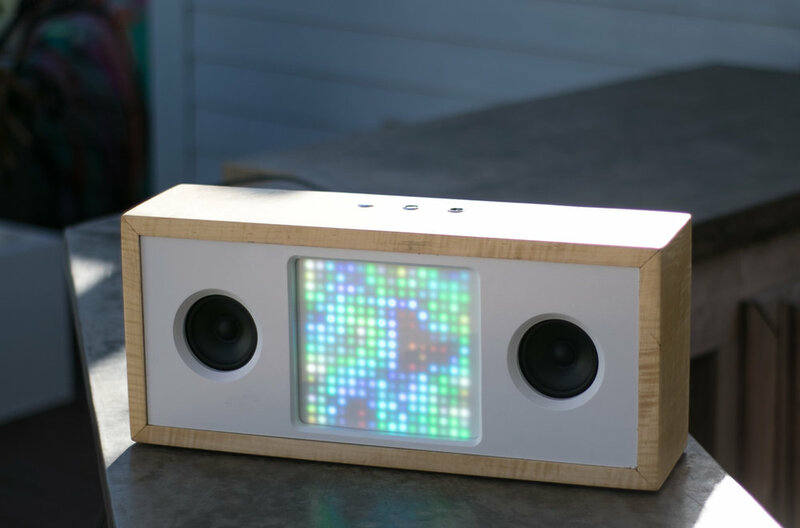 Having done a number of LED projects, and having some woodworking experience, I came up with the idea to integrate an audio-reactive LED matrix in a Bluetooth speaker. The speaker box involved a fair amount of woodworking. The outside of the box is made from rough curly maple lumber, which I milled to 3/4". The front and back panels are made from MDF. The finish of the curly maple was inspired by electric guitar finishes, like those seen on some of my favorite Paul Reed Smith guitars. Internally, I am using a 2x15w Dayton Audio bluetooth amplifier board for the audio, and an Arduino Mega to control 16x16 LED matrix (WS2812 LEDs). A small electret microphone inside of the speaker box detects the music that is playing, and provides a signal the Arduino can use to create reactive display on the LEDs. The design also allows for mechanical adjustment to entirely change the look of the LED matrix; from pixelated to abstract. I am particularly proud of this feature, as I haven’t seen it anywhere else before, and the effect is very cool (it is shown towards the end of the video). The LED matrix is mounted to a baffle behind the white semi-transparent acrylic diffuser, and by twisting a thumb screw on the back of the speaker, you can move the LED baffle towards or away from the diffuser. The thumb screw thus allows you to go from a pixelated display (where individual LEDs are visible), to an abstract display, where the LEDs blur together to form moving art, with an almost 3D-like effect.